Our global team has extensive field knowledge and direct experience with Artisanal and Small-Scale Gold Mining communities worldwide. We have decades of experience in the areas of business, sustainable development, social responsibility, governance, environment, health, geology, geospatial analysis, gold markets, and mercury science. We work with miners, government, and industry. Our diversity is our strength. Kevin received his PhD from the University of Ottawa in Geochemistry and held a tenured Professorship at the School of Earth and Ocean Sciences at the University of Victoria from 1999 until 2011 before taking the lead position at the Artisanal Gold Council he started his work in artisanal mining in 1995 in the Brazilian Amazon and in the following 20 years has worked in numerous countries across three continents. He has extensive experience in technical, policy, and business capacities in the field with miners, governments, international institutions, and industry. He has become a world renowned expert and a voice on the international stage with numerous publications on the issue, including authoring the global estimate on mercury use in artisanal gold mining used to negotiate the Minimata Convention. Creating sustainable business opportunities for investors and the bullion and jewelry markets while improving the economics, health and environment of miners and their communities in collaboration with governments is a direction that Dr. Telmer brings to the council. A primary goal is to increase responsible artisanal gold production to volumes that are significant relative to the size of the burgeoning sector. Richard brings over a decade of experience in project management on ASGM specific projects as well as policy and development expertise in the field of chemicals and wastes. Richard received his Masters of Law from Columbia University, NY, and Juris Doctor from the Ateneo School of Law in Manila. He has an AB in Political Science and BSC in Management from De La Salle University in Manila. Richard has been working on the issues of international chemicals and waste policy since 2000, and has worked specifically on the global mercury issue since 2001. Richard has participated in the call for a mercury treaty since 2002 and has since participated in the development of the Minamata Convention on Mercury, which was adopted in 2013. Prior to joining AGC Richard established and led a Southeast Asian non-profit environmental organization in the Philippines focused on environmental justice and sustainable development. His work in the Philippines has helped transform government policies on mercury and artisanal and small-scale gold mining. He helped the country develop its 1st National Strategic Plan on the Phase-out of Mercury in ASGM, which has since become a template for other countries to follow. Richard is fluent in Filipino and English and has extensive experience in Southeast Asia. Rébar brings a wealth of expertise in program and people management to the projects he oversees. A results-based management and communications specialist, Rébar is highly familiar with UN institutions, having spent over 8 years working with various departments, offices, and missions of the United Nations Secretariat, including DESA, DFS, UNAMI, OCHA and ODA. Rébar has advanced experience in providing technical support and guidance to senior government and UN officials. He has organized high-level working group meetings and made recommendations to tackle some of the most pressing socio-economic issues and priorities of the Middle East and North Africa region, such as youth empowerment, regulatory reform, gender-mainstreaming, public-private partnerships, and other matters of national concern – all in strong collaboration with the region’s Governments and civil society. He was the Country Director of QANDIL Swedish Humanitarian Aid Organization in Iraq at the peak of the ISIL crisis in Iraq and Syria. Rébar has also been a university lecturer and a journalist and has worked for the OECD, UNFPA, and the World Association of Newspapers. Rébar speaks English, French, Kurdish and Arabic. Brad brings over thirty years of experience the mining and resource business where he has provided expertise as an exploration geologist, project manager, and executive in both the corporate environment and as a consultant. Brad received his BSc. (Honours) Geology from the University of Manitoba in 1985. He has worked on and managed numerous feasibility studies, exploration programs, due-diligence evaluations and project assessments of both minerals and energy projects in Canada, the United States, Asia, Latin America, and the UK. The last 10 years, he has been heavily exposed to corporate management and company financing through his position as director and officer of several junior mining companies. His early career concentrated on technical evaluation and project management for the resource industry, while in the latter years, duties were mainly executive and corporate in nature. Skills and experience include project assessment, field exploration program design and implementation, resource estimation, resource quality evaluation, market evaluation, new business development, contract negotiations, corporate governance and company finance efforts. Brad is fluent in English and functional in Spanish and has extensive experience in Latin America. Cathy has an entrepreneurial spirit and loves exploring new ideas and making things happen. She has a keen interest in sustainable development, social innovation, social enterprising, and social finance. Her work and education has taken her to various parts of the world and she is fluent in English, French, and Spanish. Cathy oversees AGC’s strategic engagement efforts and assists the organization with its management of Artisanal and Small-Scale Gold Mining (ASGM) projects in Africa, South America, and Asia. She is excited to be working with a team of passionate and dedicated experts working to improve the opportunities, environment, and health of the millions of people involved in this sector in the developing world. Cathy brings experience working with public, private, and not-for-profit organizations both domestically and internationally in the areas of business operations, organizational and leadership development, communications and program management. She has a BComm (International Trade) and a BA (Spanish Literature) from the University of Ottawa and has a Master of Arts in Leadership from Royal Roads University with a focus on developing high performing teams. Sixto completed his MASc Mining Engineering at University of British Columbia (UBC) with focus on grinding and energy efficiency and another MASc in Energy Management at New York Institute of Technology (NYIT) with focus on alternative energy, he also holds a BSc in Mechanical Engineering. He has worked on ASGM in Ecuador, Colombia and Honduras helping improve recovery and energy efficiency on the gravimetric circuits. He also worked two years as teaching assistant on Introduction to Mineral Processing at Coal and Mineral Processing Laboratory at Norman B. Keevil Institute of Mining at UBC. He has over of 20 previous years experience on Industry in Honduras, Guatemala, El Salvador, Nicaragua, Panama and Venezuela on improving energy use, air pollution emission monitoring and control. Sixto has been an active member of Mesoamerican Development Institute working on the introduction of renewable energy systems for sustainable coffee drying in Central America, for this contribution he was awarded from US Forest International Cooperation an appreciation certificate on the “Wings Across the Americas 2009 International edition” He is fluent in Spanish and English. Bryan is a Geo-Environmental Engineer, a registered Professional Engineer in Canada (Alberta), and completed his Bachelor of Environmental Engineering degree at Carleton University in Ottawa, Ontario. He brings over six years of consulting experience in the fields of mining, oil, and gas remediation/reclamation. Bryan has held active research and development, engineering design, and project management roles for mining, oil, and gas remediation projects around the world, and has collaborated with multiple regulatory agencies in Canada and the U.S.A.
Bryan is a Program and Environmental Manager at AGC, and is responsible for developing a strategy for implementation of environmental baseline at project sites, as well as developing environmental monitoring systems to assess each project’s performance. Peter is a results based management specialist as well as an environment and development specialist with over a decade of experience working for non-profit organizations in Canada and Southeast Asia. Peter has been a consultant to academic institutions, environmental organizations and Aboriginal governments and has worked on issues ranging from mercury toxicity in fish to the creation of transnational environmental management institutions. 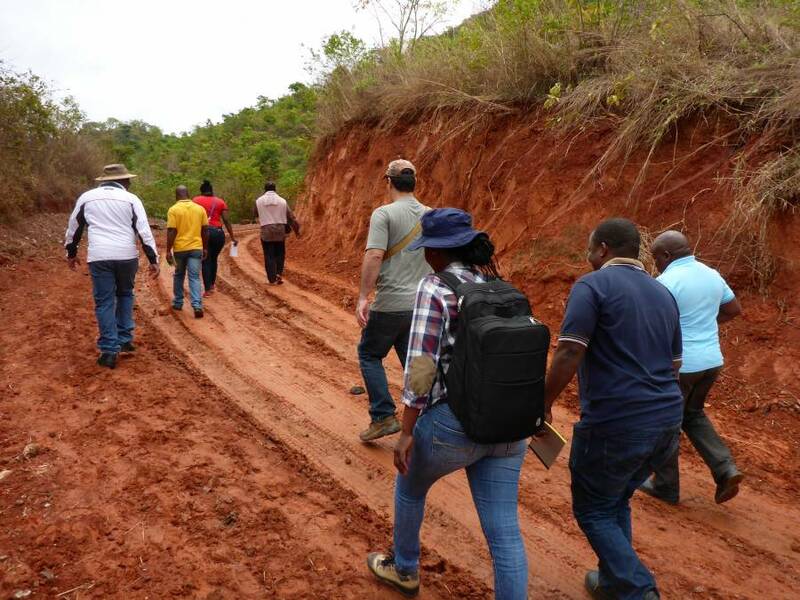 With an interdisciplinary background in geology, economics, environmental sciences and international development, Peter helps to ensure that the AGC develops crosscutting solutions to the multifaceted challenges of the artisanal gold sector. He holds a B.Sc. in Earth Sciences and Economics from McGill University and a Master of Environmental Studies from York University. Milene holds a master’s degree in Sustainable Development from Paris Dauphine University, France, and University of Vienna, Austria. Prior to joining AGC, she worked at the United Nations Industrial Development Organization (UNIDO) developing and implementing projects with focus on mercury reduction and elimination in Africa and Latin America. She is fluent in English, French, Portuguese and Spanish. Milene is responsible for managing projects that support countries to meet the requirements of the Minamata Convention on mercury, especially in the ASGM sector. Mareike brings over a decade of work experience in public health and sustainability research in South and South East Asia as well as in policy advice. She received her PhD in health geography in 2012 from the University of Cologne, Germany. 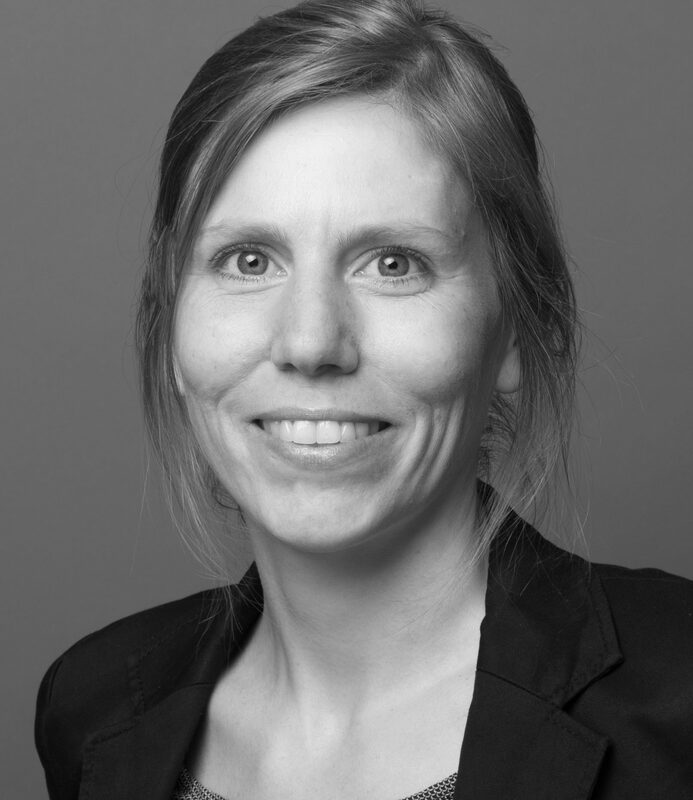 Prior to joining AGC, Mareike worked as research fellow at the University of Cologne and, among others, coordinated a research project on health inequities in India and a follow-up knowledge transfer project on surveillance of non-communicable diseases to provide evidence-based data for public health policies. She also worked with the German Advisory Council on Global Change (WBGU) and contributed to policy reports on international sustainable development, climate change and health. Mareike is a member of the Canadian Coalition for Global Health Research (CCGHR). Her research experience in different countries has strengthened her ability to understand complex health related problems with a holistic perspective and develop solutions by applying a critical, context-sensitive and creative approach. Mareike is responsible for overseeing health-related activities across the AGC’s programs. Adele is the Senior Administrator for the AGC, and brings several years of experience as a senior manager. She recently moved to Victoria from Ottawa, Ontario were she was the Finance Manager for the Canadian Association of Emergency Physicians. Adele is a CGA and has worked with Not for Profit organisations for many years. She is fluent in English and French. Adele looks forward to helping the executive team in their quest to improve the ASGM sector. Jennifer is a remote sensing specialist, biologist, and technical writer with a strong background in research. She holds a MSc degree in Remote Sensing and a double BSc degree in Biology and Geography from the University of Victoria in BC, Canada. Her past roles include oceanographic research for the Department of Fisheries and Oceans Canada and remote sensing research for various academic institutions, federal government, and not-for-profit agencies. Jennifer has worked on a broad range of issues, including ecological response to environmental disturbance, feasibility of natural resource mapping and monitoring using satellite and aerial imagery, and the overlap of social and environmental considerations in marine spatial planning in the Philippines. Jennifer is responsible for writing the UNEP ASGM Baseline Toolkit, an instructional guide and toolkit for producing a national overview of a country’s ASGM sector and baseline estimates of mercury used, mercury lost to the environment, gold produced, and miner population. She is also involved with the ASGM portion of the AMAP UNEP Global Mercury Assessment 2018, which aims to provide the most recent information available on worldwide atmospheric mercury emissions, releases to the aquatic environment, and the transport and fate of mercury in the global environment. Rachel provides administrative support for all facets of the AGC’s operations from the office in Victoria. Originally from Ottawa, she is pleased to be joining the diverse team at AGC. With years of administrative experience in a variety of sectors, and a B.Sc. in Environmental Science from Dalhousie University, Rachel brings a well-tailored set of skills to this organization. Heather has joined AGC as the Accounting Officer, bringing with her over 30 years of experience in accounting and management, as well as several years working with not-for-profit organizations in Alberta. Her diverse working history brings another level of expertise to the AGC family, and she looks forward to working with the team to ensure continued heightening of financial standards and efficiency. Deborah’s background in business management and accounting with a specialty in auditing and financial statement preparation and analysis makes her a perfect fit to the ACG team. Deborah started her career in accounting with the Edmonton Oilers Hockey Club and since then has moved to expand her experience and education by working at several other for profit and not for profit organizations. Deborah is looking forward to assisting her fellow co-workers by sharing her knowledge and growing her own skills by learning from those around her. Languages: French, Spanish, Portuguese, English. 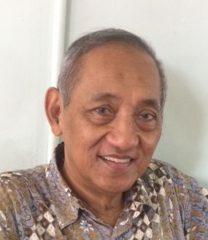 With a Bachelors degree in Agriculture from Lampung University, Pak Supriyanto worked for seven years in oil palm plantation before moving on to non-governmental organizations. Supriyanto has almost ten years of experience working in international non-governmental organization and managing complex projects in Indonesia. Supriyanto has managed programs in the field of disaster risk reduction, emergency response, climate change and agriculture. Capacity building, community development, project management and environmental management are some of his main skills. With his passion for community development and environment, Supriyanto will be managing our Indonesia project. Chérif has many years of experience working in community and rural development, as well as mining law research in Senegal and other African countries. 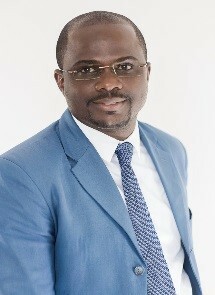 He is responsible for supporting inventory methodology training and the National Action Plan processes in various countries of Francophone West Africa, as well as coordination of AGC`s activities in the region, including site selections, logistics and communication with the local and national government. In 2008 Wesbert began his professional career in the mining industry at the Bamako (Mali) office of the Canadian group Avion Gold Corporation in the finance department. In 2010 he joined IAMGOLD Corporation another mining outfit operating in Mali. In January 2013 he became the Director of Operations for the Gabonese Gold Collection Agency (Comptoir Gabonais de Collecte de l’Or), and oversaw the legal purchase and export of gold from Artisanal and Small-scale gold producers across Gabon. In 2017 he joined the AGC as National Project Coordinator for the Gabonese National Action Plan to Reduce/Eliminate Mercury use in the Artisanal and Small-scale Gold Mining Sector. C’est en 2008 qu’il débute sa carrière professionnelle dans l’industrie minière au bureau de Bamako (Mali) du groupe canadien Avion Gold Corporation dans le département finance. En 2010, il rejoint un autre groupe opérant au Mali : IAMGOLD Corporation. Puis, en janvier 2013, il rejoint le Comptoir Gabonais de Collecte de l’Or, en qualité de directeur des opérations. En 2017 il rejoint l’AGC comme Coordinateur National du Projet Plan d’Action Nationale pour le secteur d’Extraction Minière Artisanal et à petite échelle. Field geologist since 1998, he has been involved in mapping and mineral exploration projects in remote areas of Canada and West Africa. As a front line geologist, he worked mainly with local labourers from nearby communities, sharing knowledge and experience to progress and make new discoveries. Luc uses his broad experience and technical skills to teach better practices to the miners and workers of the ASGM communities. He is fluent in French and English. Luc conducts the field installation of the mercury-free gold processing plants and trains local miners from AGSM communities in installing, maintaining, and monitoring the efficiency of the systems. He has a BSc in Earth Sciences/Sciences de la Terre from the University of Ottawa and an applied Masters in Geology from the University of Western Ontario. Andres specializes in the social performance of new exploration projects to achieve social acceptability. Andres started his professional career as a Management Consultant with PwC in South America. In Canada, he worked with World Vision Canada as Regional Manager for Latin America. He was part of the staff of Barrick Gold’s Pueblo Viejo Mine Project in the Dominican Republic. Here he was instrumental in the stakeholder engagement process to resettle several communities, and reverting negative community perception towards operating a power plant. In both assignments, an open approach to identify fears and expectations allowed for a positive outcome gaining social license. In 2010 he started working with Torex Gold to revert the status of a socially distressed project. His work had a positive outcome which allowed for construction and operation of a mine facility in Mexico. Andres has established a reputable consultancy practice in Toronto serving mining and explorations companies operating in Latin America. His distinctive approach is people-oriented, aiming to manage expectations and gain trust of local stakeholders. Dr. Carlos Albuquerque began his career in Brazil at Federal University of Lavras, where he obtained degrees in Chemistry and Agrochemistry (Environmental Chemistry). He moved to the State University of Campinas as a PhD student. In 2015 he moved to Canada and began nanofabrication, nanolithography and photolithography investigations at the University of Victoria. As part of this project, Dr. Albuquerque developed a new method for quantifying antibiotics in ultra-low concentrations, offering a considerable improvement upon state-of-the-art techniques. Most recently he has worked with Dr. Lauro Kubota on developing a new imaging processing method for label-free extreme-sensing using nanoplasmonic sensors.